Di Chirico is set to make his UFC debut versus Bojan Velickovic at UFC Fight Night 86 in Zagreb on April 10 after an impressive amateur career. 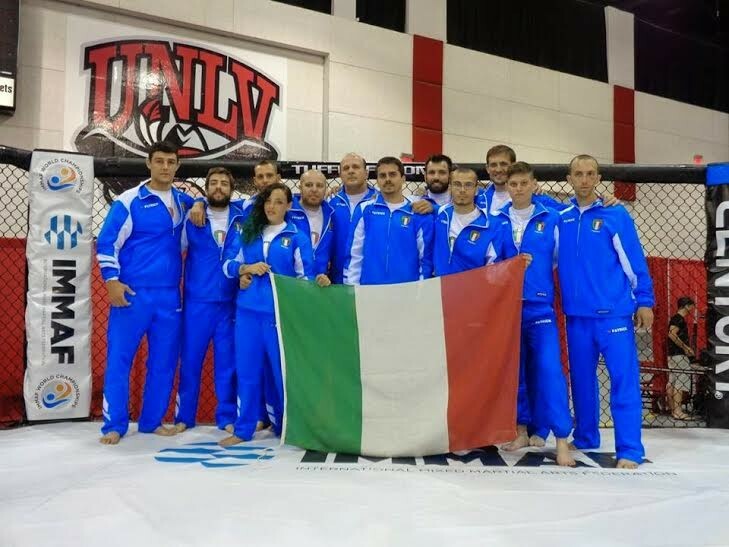 Italian fans have been longing for a homegrown star to fight in MMA’s premier promotion since 2013 when veteran Alessio Sakara was cut from the UFC. The 26-year-old has been instrumental in the development of FIGMMA after captaining his country at the IMMAF World Championships in 2014 where he won gold in the 205lb division. His positive influence helped the Italian national federation grow to 126 affiliated teams and about 3000 licensed athletes by the end of 2015. The people at FIGMMA believe their star man has the ability to go all the way and hope that his success will be matched by their own progress. Mr Paolillo said: “Alessio has the skills and the work attitude to succeed at the highest level in the sport. He added: “The future looks bright for the sport of MMA and FIGMMA. And Mr Paolillo is confident that IMMAF’s software partner, MyNextMatch, can have a significant positive influence on the growth of amateur MMA. He said: “MyNextMatch is a really an interesting concept, that can be a good instrument for National Federations to organise their activity as well as bring some consistency in the organisation of MMA competition world wide. “We will soon start to use it to organize all our competitions under IMMAF rules. It will be helpful to keep track of records, events and for the medical card tool that looks very promising."